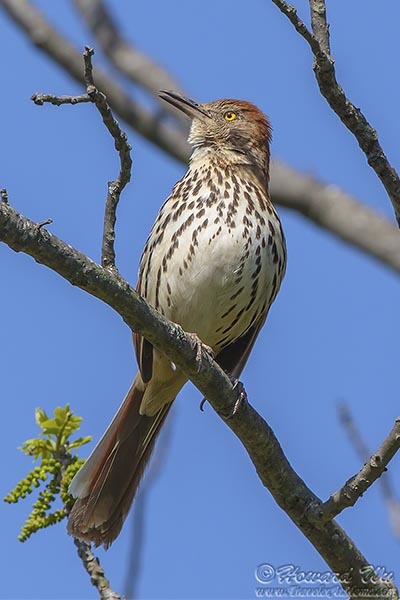 Brown Thrasher belong to the same family as Northern Mockingbird and Gray Catbird -- mimidae. 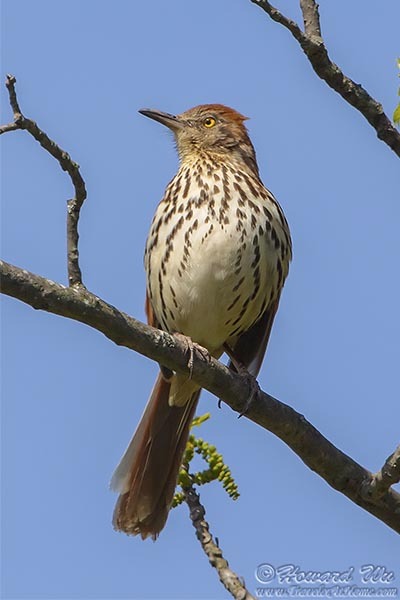 These birds are all accomplished singers and can imitate other birds' songs. And they are tireless singers too! 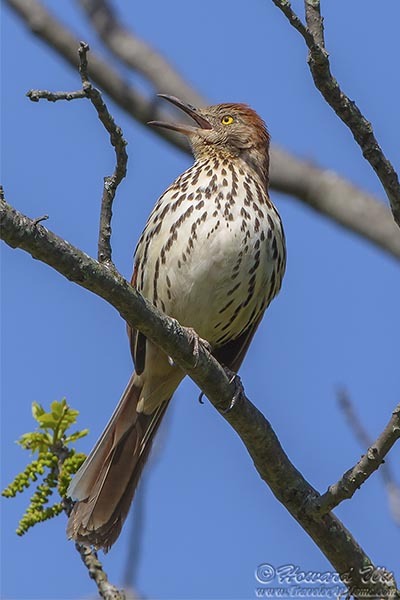 On a spring morning, or even at night, they can perch on a tree and pour down their songs for hours on end.